The Colleagues of Calligraphy based in Minneapolis–Saint Paul, Minnesota, U.S.A. is pleased to have you visit our digital home. We hope you enjoy what you find here and see why we think the world is a more interesting place wherever calligraphy is found. 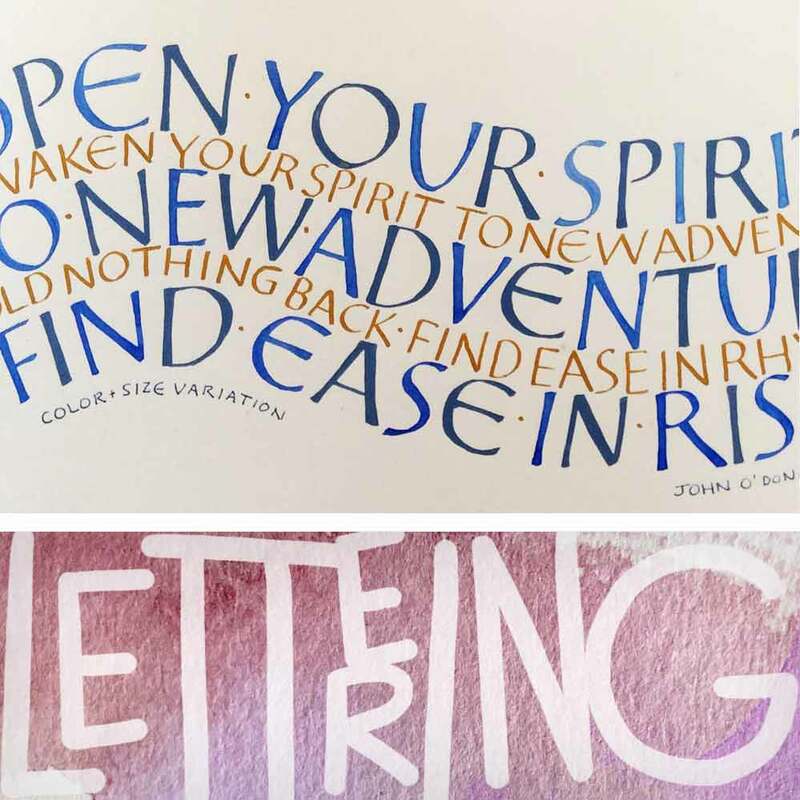 03.02.19 Registration for the April weekend workshop Strength in Letterforms—Using the Chisel-Edged Brush with Janey Westin is now open! Participants will work with a chisel-edged brush to gain a better understanding and greater confidence in use of Roman letterforms. 10.15.18 Do you have a creative event/endeavor you would like other people to know about? Email vicepresident@colleaguesofcalligraphy.com with the details and we’ll make sure it gets on the Members In Action page! 08.01.18 Have you read our programs director Jean Formo’s excellent guide for how to arrange a meaningful one and one-half day study time at HMML or a two and one-half day visit to study the manuscript holdings at HMML? The article tells you exactly how to do it, all the steps involved, and in what order to accomplish everything. Read it here. 07.10.18 We now have a space for members to share information of a more personal nature with their fellow colleagues. Visit the Members Only page now to become aware of things your fellow members “want you to know.” If you have an item you would like posted (or forgot your password), send an email to info@colleaguesofcalligraphy.com. Read an account of Kris’s program by long-time member Gary Feyen. 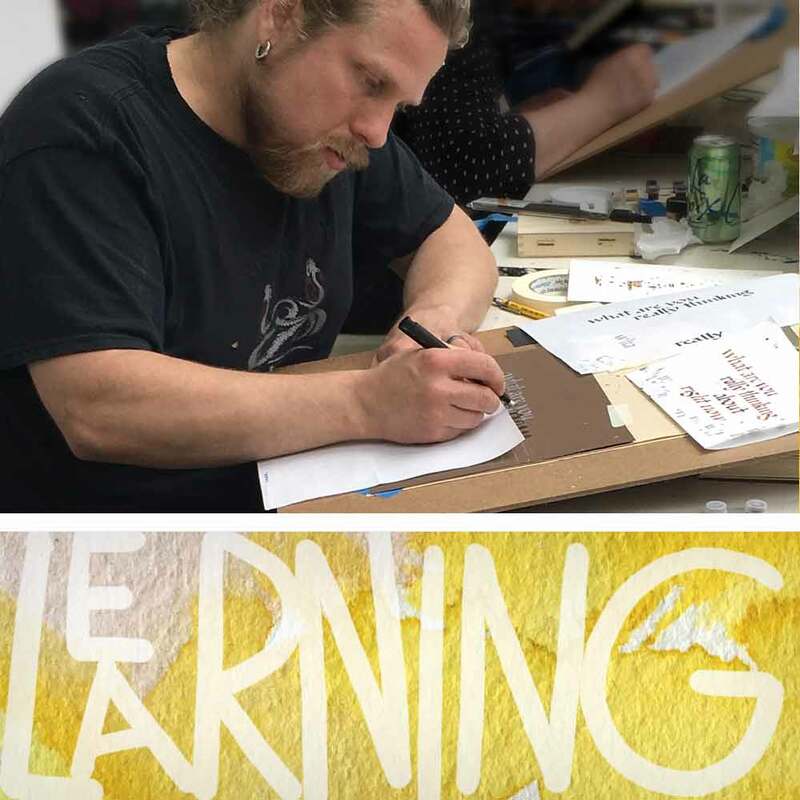 Our mission is to PROMOTE the critical practice of calligraphy as a craft and as an art form, and to ENCOURAGE individual excellence, and to FOSTER a wider appreciation and a deeper understanding of calligraphy, its history and applications through the free interchange of ideas and techniques. Copyright for all art resides with the Colleagues of Calligraphy or the originators of the works. No reproduction is allowed without the express written permission of the Colleagues of Calligraphy or the individual artists.